Some people are obsessed with clothes and have overflowing closets. Other people obsessively buy shoes and have dozens and dozens of them. I, myself, have a thing for neckwear. Except for the hottest, most humid summer months, when I can’t bear to have anything on my skin, I love the feeling of having something around my neck. I have tons of necklaces (some of which you can see on my DIY driftwood necklace hanger) and tons more scarves. About a year and a half ago I got hit by the infinity scarf bug. I have no idea just how many I’ve sewn, but I have more than I can possibly keep track of and have given many more away as gifts. 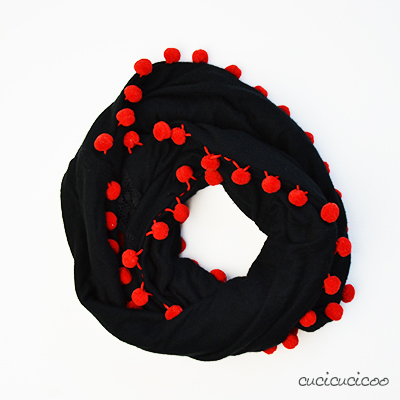 But the infinity scarf that I got (and continue to get) the most compliments on was this Spanish-style one with red pompom trim. I cut up the entire shirt, right up to the neck and including the sleeves, and pieced the pieces together along with the trim to make a loop that was wide enough to fit over my head twice. You can see the bit of lace under the neck tie incorporated in the scarf in the bottom picture above. 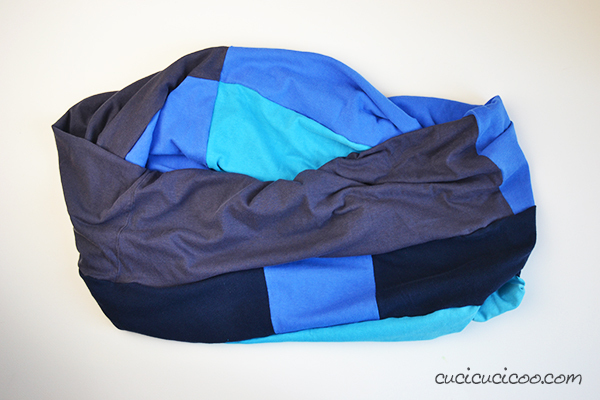 A lot of people asked me how I made the scarf and I got more than one request for a tutorial. 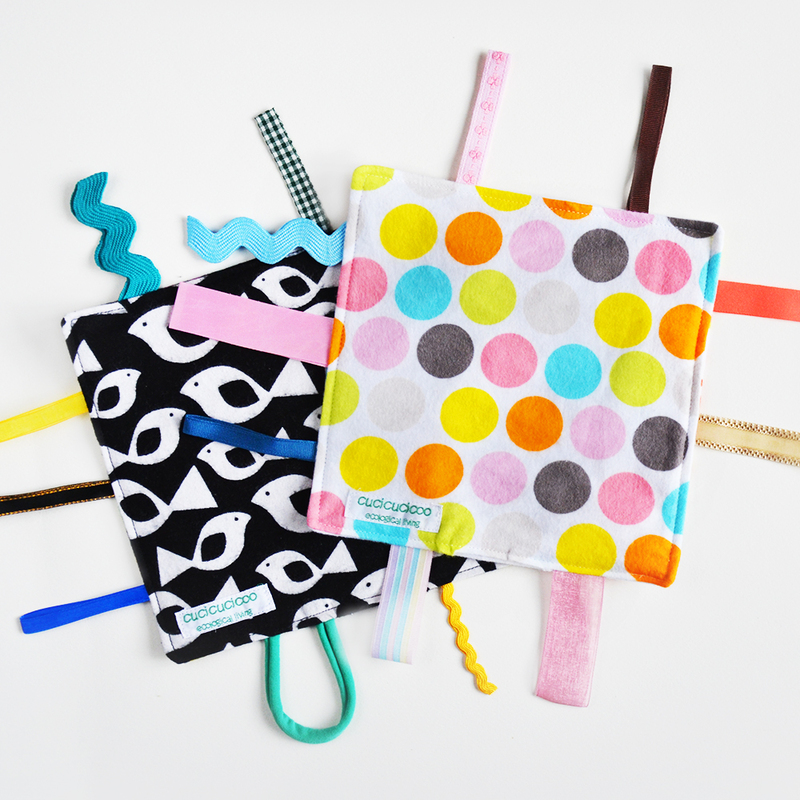 So now that I’ve explained how to sew knit fabric without any overstretching, bunching, snapped threads or holes, I thought that it was about time to finally explain how to make these! 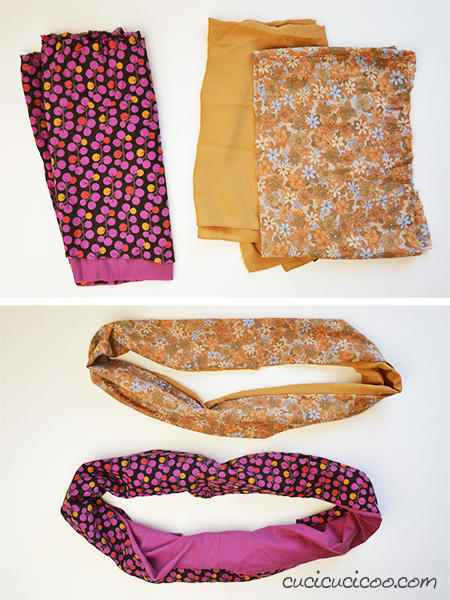 I’ve given instructions on two styles of T-shirt infinity scarf. The first is a pretty simple two-color version that only takes about 15 minutes to make. The second is a more complex version of the first, using pieces from any number of shirt. 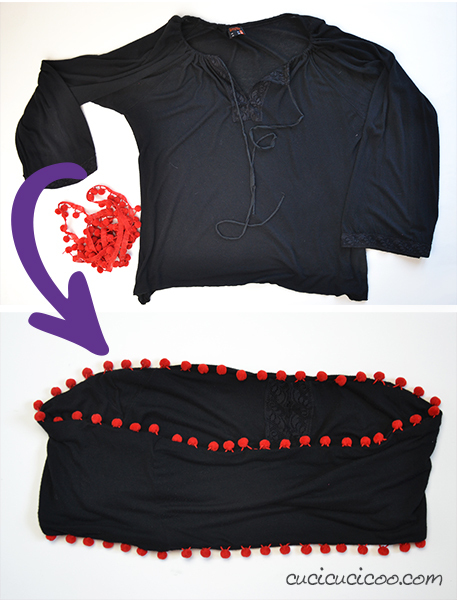 You can get really creative and use up fabric scraps, or even salvage usuable parts of stained and/or ripped t-shirts. 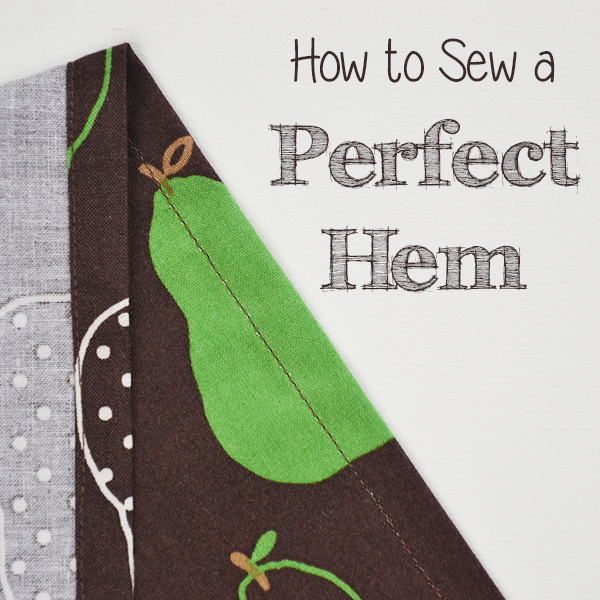 I highly suggest you read my lesson on sewing knit fabric to know the importance of choosing the right stitch, needle, thread and other considerations. 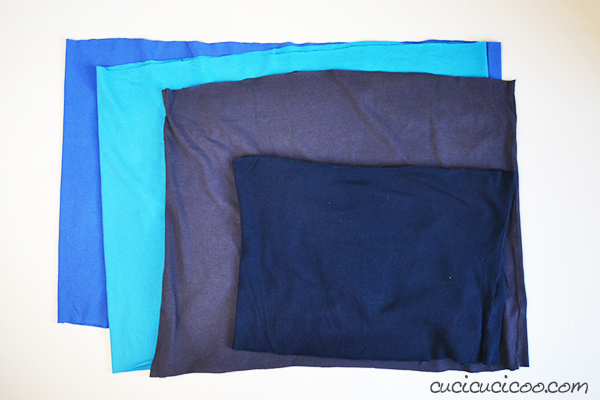 I also suggest you read my tutorial on how to sew an infinity scarf to understand the general construction process. 1. 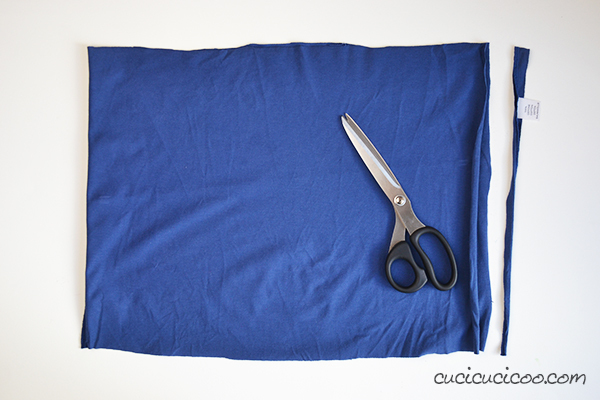 Iron the shirts and lay them out flat. 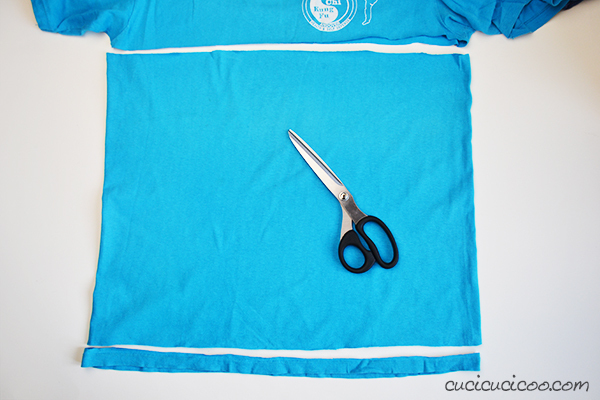 Cut off the bottom hem and then cut across the shirt just under the armpits. 2. 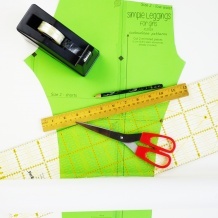 If the shirt has no side seams, cut down one side to open the loop into a long rectangle. 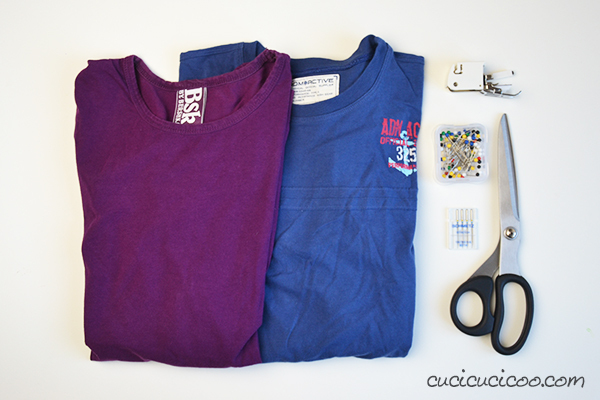 If the shirt does have side seams, cut one off, thereby also removing any annoying labels. 5. As shown in more detail in my original infinity scarf tutorial, reach your hand through the tube, grab the far edge and pull it through the center so that you can line up the two raw edges, right sides facing, making sure that the seams match up. 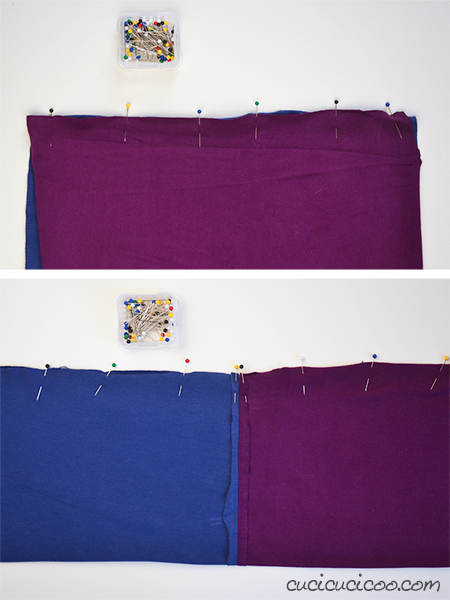 Pin the edges (top), then sew around, leaving an opening wide enough to fit your hand through. 6. 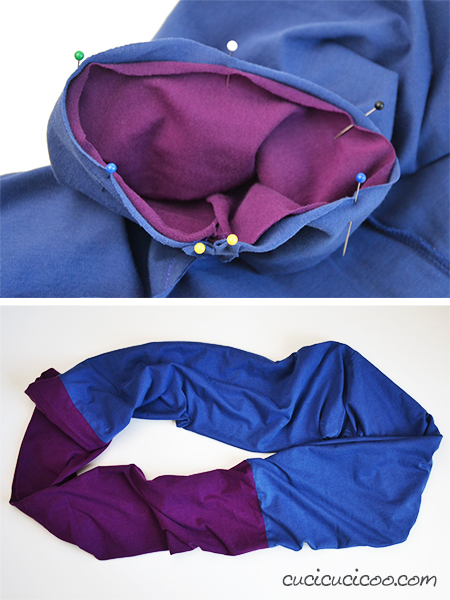 Reach your hand inside the opening and pull the fabric out through it so that the entire scarf is right side out (bottom). Close up the opening with a ladder stitch, and you’re done! 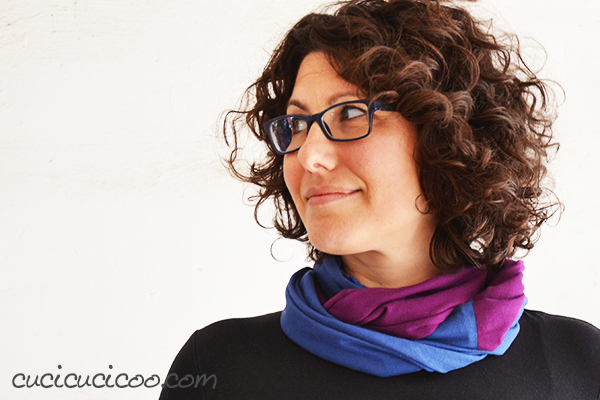 Now all that’s left to do is to wrap it around your neck and have fun arranging the layers of color! Now let’s say that you have a bunch of T-shirts, some of which may have ruined spots that can’t be used. Or say you have some children’s or size small shirts that you’d like to use. 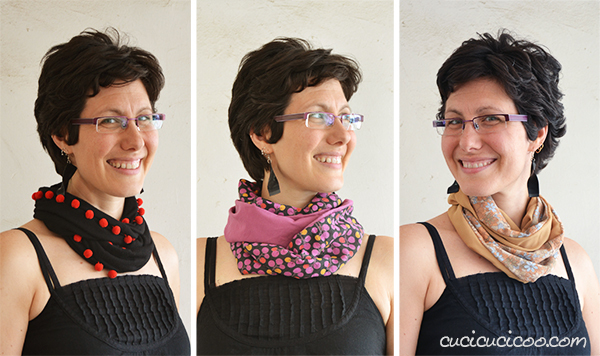 You can turn all those into infinity scarves, too! 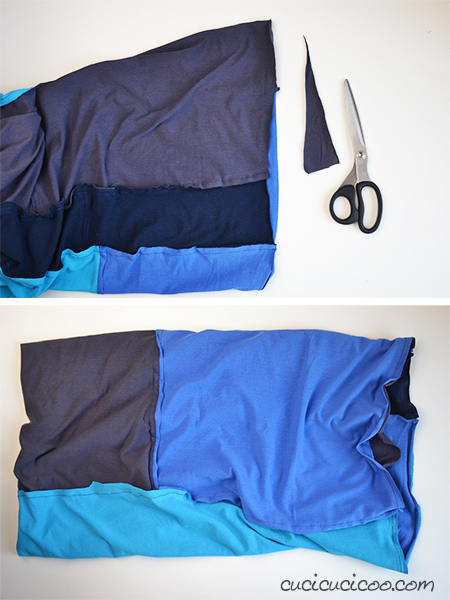 All you have to do is cut up the shirts and piece them together to create one large rectangle. Here’s how! 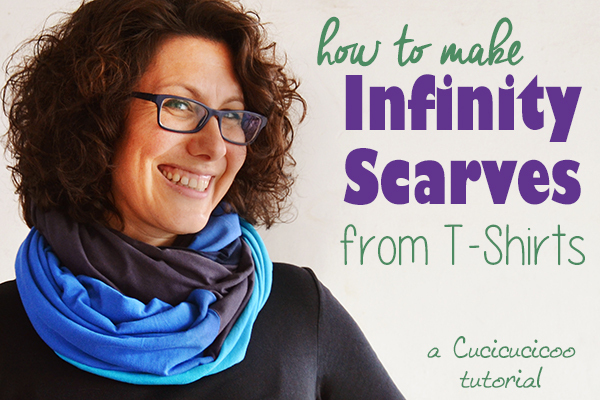 Like I already said, I highly suggest you read my lesson on sewing knit fabric as well as my tutorial on how to sew an infinity scarf before starting. Each composite strip doesn’t have to be the same width as the others. As you can see above, I made two wide strips and one narrow strip from smaller pieces. (bottom) The important thing is that all composite strips are the same length. 4. Sew together the long sides of the composite strips, right sides facing. Remember to open up the seams before sewing over them, as seen above. 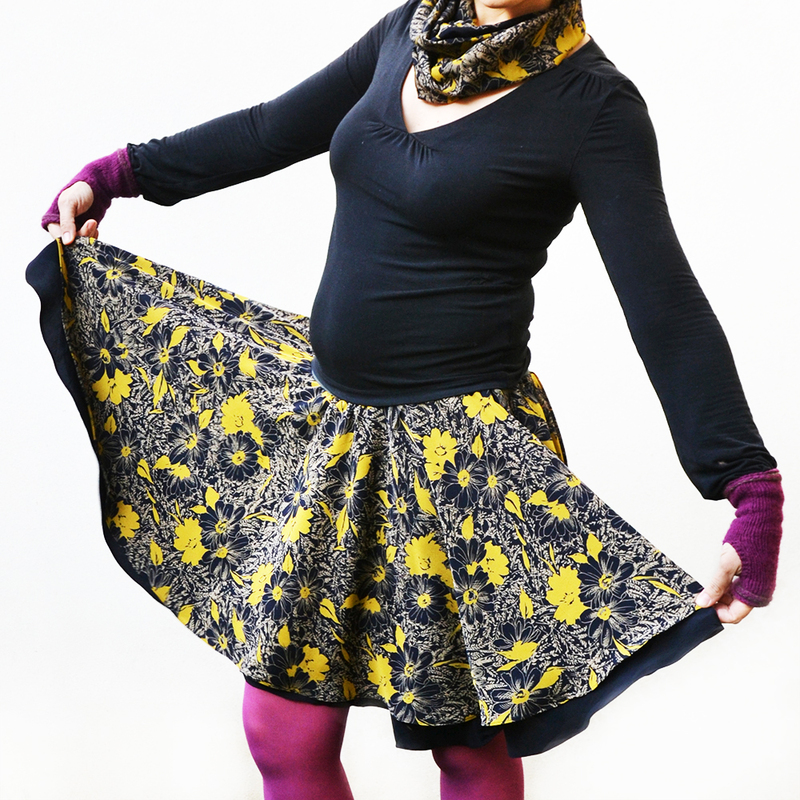 You will now have a long tube of pieced-together jersey fabric. 5. Trim any bits of the raw edges that are sticking out. 6. 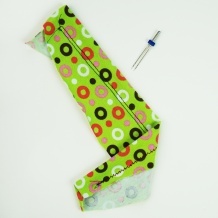 Like we did in step 5 before, pin together the two short ends, right sides facing, matching up the seams when possible. 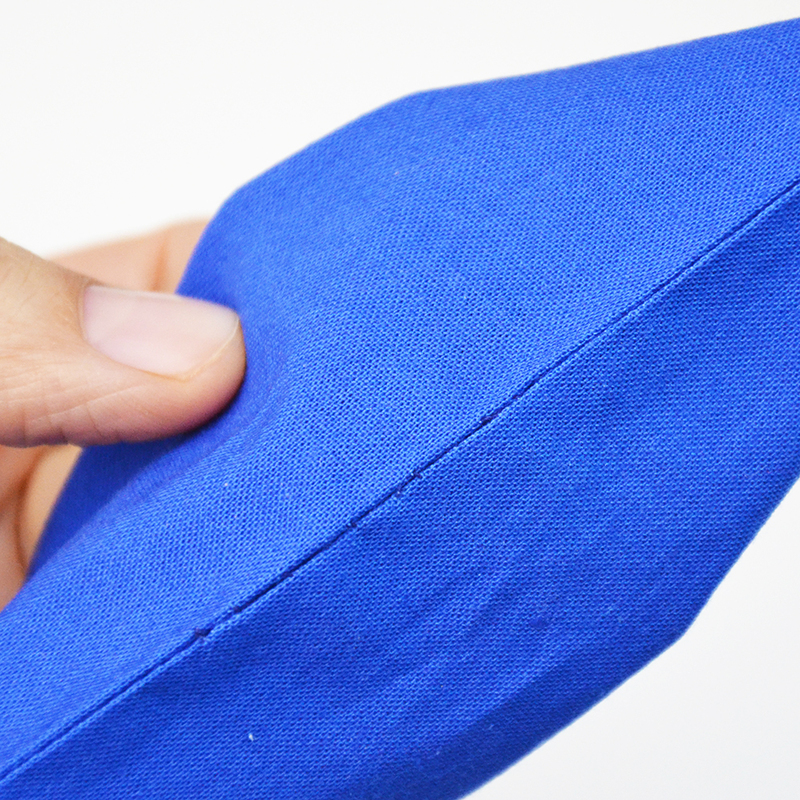 Sew them together, leaving an opening wide enough for your hand. 7. 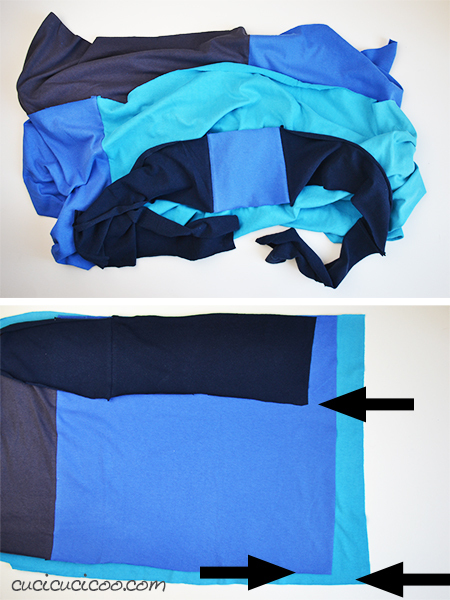 Pull the fabric out through the opening so that the entire scarf is right side out. Close up the opening with a ladder stitch, and you’re done! I love how the different colors interact with each other! It’s so fun and looks a little different every time you put it on! You can also add some trim, just make sure that it’s soft and won’t bother your skin. 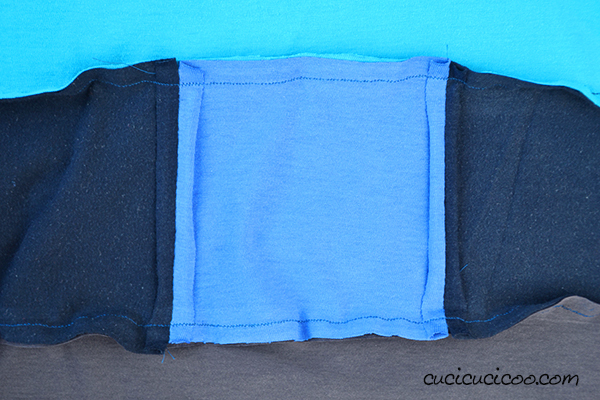 All you have to do is sandwich it between the two layers when sewing the long sides of the scarf. The part of the trim you want visible (in this case, the pompoms) needs to be hidden inside between the layers of fabric. Easy, right? 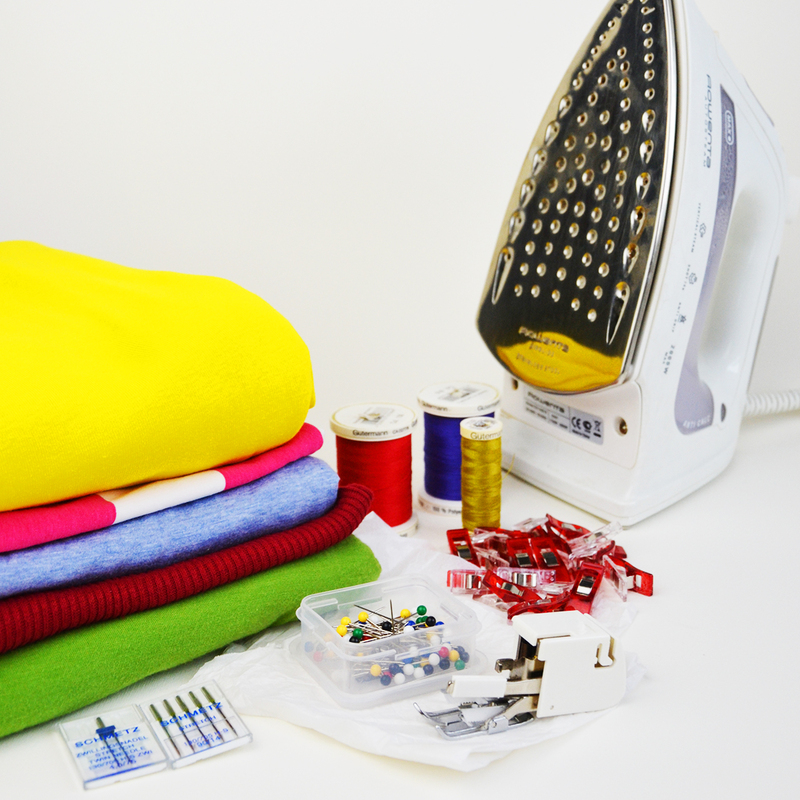 Especially now that you know how to sew knits without any problems! Now go dig out every unused T-shirt in your home and have fun putting together different colors in your infinity scarves! 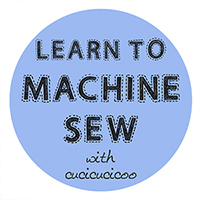 This lesson on how to make a T-shirt infinity scarf is part of the syllabus of Cucicucicoo’s Learn to Machine Sew beginner’s sewing course! 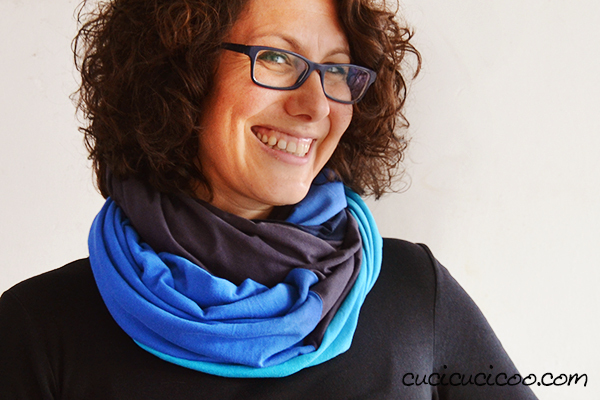 Don’t forget to share pictures of your scarves on Facebook or the Cucicucicoo Creations Flickr Group! 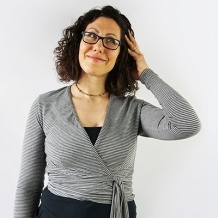 Molto carine, ma io ho una macchina semplice che non cuce la maglina, secondo te si possono cucire a mano e come, grazie e complimenti tutto quello che fai e’ molto ben spiegato. 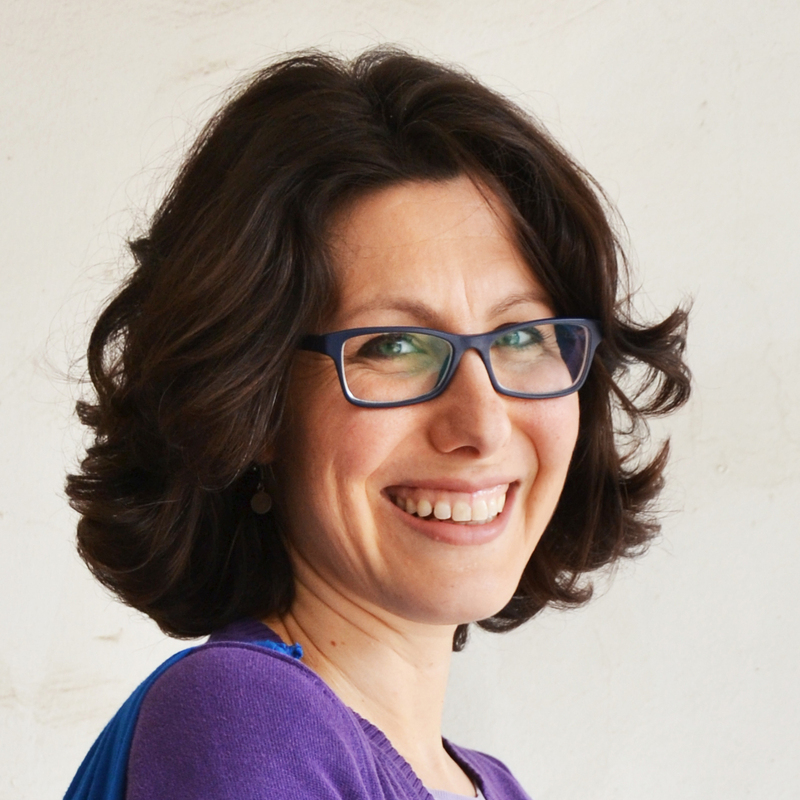 Ciao Ada, certo che si possono cucire a mano. Ecco un video che fa vedere come fare il punto elastico a mano (clicca qui). Come mai dici che la macchina non può cucire la maglina? Non ha neanche il punto zig zag? Ciao, grazie della prontissima risposta, la macchina ha lo zig- zag di tre misure, posso cucire la maglina con questo punto? Naturalmente dovro’ mettere un ago adatto vero? Scusami per tutte queste domande ma sono una principiante, la Macchina e’ una Necchi N81. Grazie ancora e buon serata. Va benissimo lo zig zag! Sì, devi usare un ago stretch/jersey. Puoi leggere qui sugli aghi e punti, e altre dritte pure, per cucire la maglina! 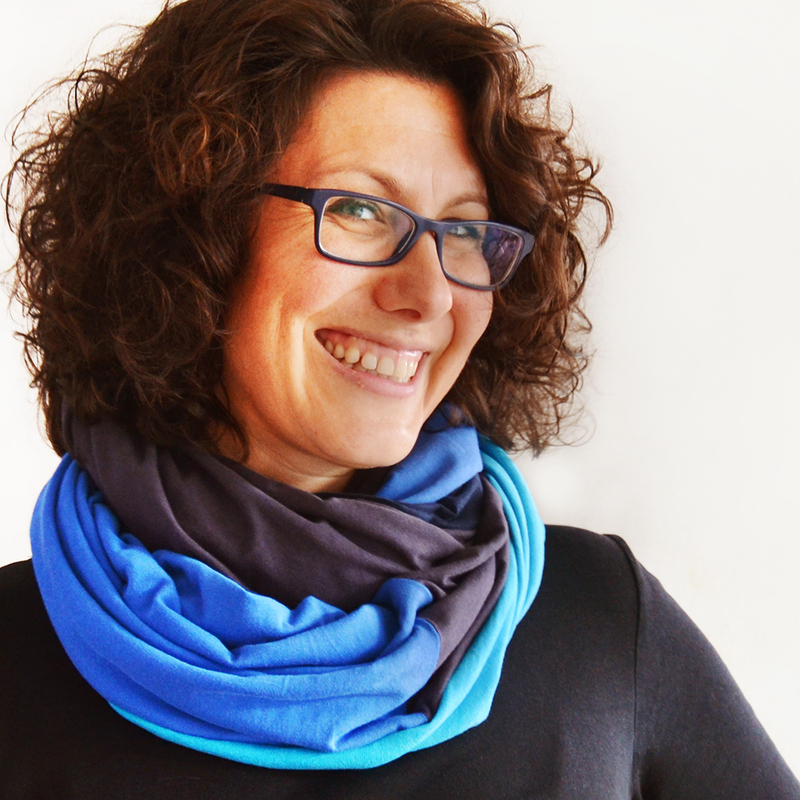 I love scarves of any kind – yours look great, Lisa. Way too hot to be wearing any down here at the moment, though. I’ve featured your fab tutorial today. Thanks, Pam! 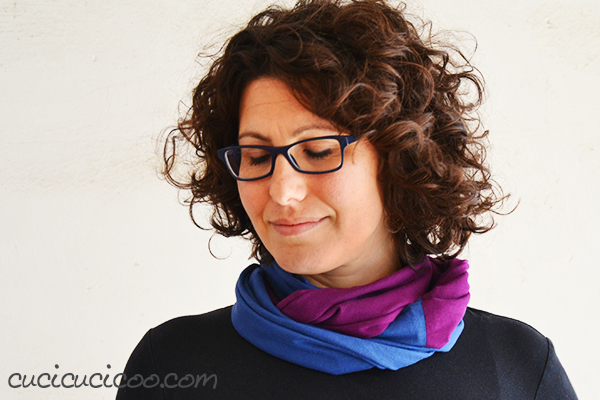 I love scarves, too, and we’re in the season when I use them all the time! 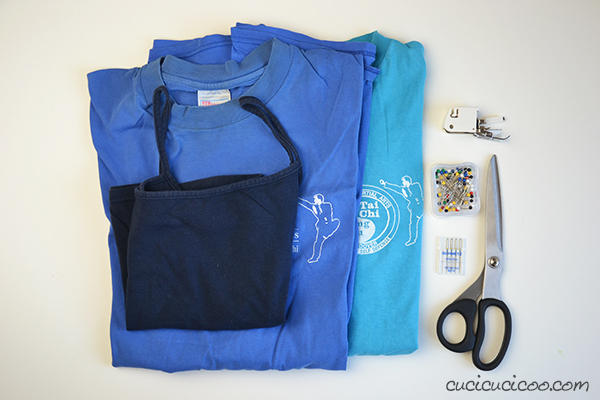 What a great idea to do with old t-shirts! 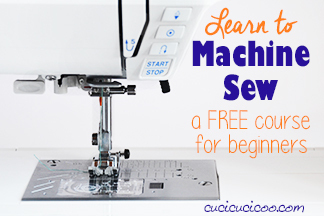 I love it and sew easy! Una più bella dell’altra! Grazie di cuore per il tutorial.